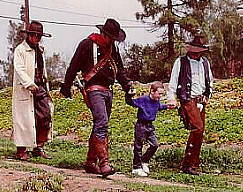 The Alpine Outlaws were founded in 1985 by Don (Snake) Hughes who hand selected a unique group of tradesmen from a small mountain community just east of San Diego called Alpine. Each cast member was selected for their look and dedication to the re-creation of these Old West icons. With a zest for the West and the hankerin’ to live the life of an ‘Outlaw,’ this dedicated group of men formed the most revered group of bad guys San Diego County has ever seen! A close friend, caring for a terminally ill little girl at Children’s Hospital, called one day stating that he had a young girl who wanted to pet the face of a horse before she passed away. Rallying to the call, Don loaded his horse and headed for the hospital with the intention of walking his horse right up to the girl while she was still attached to life support medical equipment. Unfortunately, this eight year-old girl died before he arrived at the hospital. Working directly with the Make-A-Wish Foundation, the Alpine Outlaws were awarded the “1989 Dream Maker” Award at the Make-A-Wish Foundation National Appreciation Convention. The Outlaw era portrayed is between 1860 and 1899, with the primary focus on the 1880 era after the end of the Civil War. The Outlaw stereotype is made up from drifters and good-for-nothing cowpokes with a yearning to live life to the fullest…. without respect for law abiding citizens. Many of the Outlaw types were left over from the once famous Cantrell’s Raiders. The Raiders were an elite guerilla group, dedicated to robbing trains and supply lines of the Union Army; hit and run tactics; and grabbing money and supplies for the starving, dilapidated Confederate Army. Trained as thieves, this way of life only came natural for these ‘loose canons’ when the war came to an end. After all, that is the only way of life they knew, and it was easy! Just walk right in, point your sidearm and demand what you wanted. 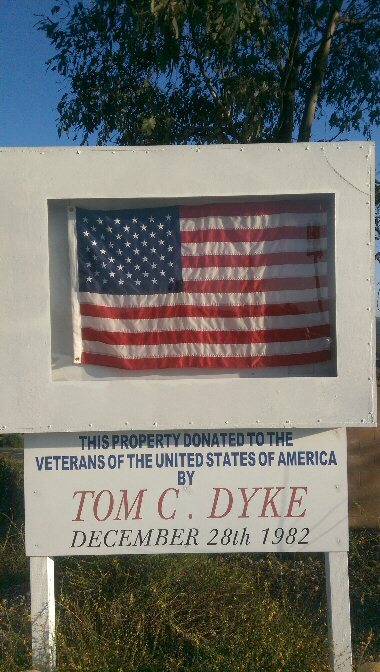 Heck…most towns did not even have a Sheriff, and the ones that did usually belonged to the richest man in those parts. There was no such thing as impartial law. The Alpine Outlaws recreate the mystery and fascination of the Old West with their authentic clothing, saddles, tack and weapons. Performing Wild West Shows, participating at wedding receptions, birthday parties, BBQ’s, fundraisers and parades…. The Alpine Outlaws know how to make any event an event to remember. 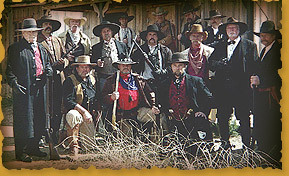 The Alpine Outlaws are dedicated to preserving the lure of the Old West and entertaining you, while having fun! The Outlaws are infamous for riding in parades all over Southern California, shooting up events and parties and hosting their own “Dance Under the Stars” for almost 20 years! Once a local Alpine street dance, now the event has moved to the local rodeo arena to accommodate the thousands of people. Wild West entertainment by the Outlaws is enhanced with performances by famous country western singers sponsored by KSON Radio, the largest country radio station in San Diego County. community. Some of our beneficiaries have been The Children’s Burn Center and The Burn Institute. Real events…. or legends…. The allure of the Old West is our heritage and should not be forgotten. The traditions of the Old West will live on forever through the dedication of the Alpine Outlaws and other Old West Re-enactor groups. If you are planning a special event, BBQ, parade, western theme fundraiser…you name it…the Outlaws will be there to disrupt your party with some wild and wacky antics that your guests are sure to remember! Call us if you want to spice up your event with gunfight shows, fight scenes, gun safety demonstrations for the kids, or simply to “add color”. You’ll have a chance for a close look at some of the ugliest…. meanest …. hombres this side of the Pecos! 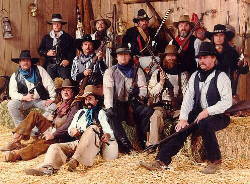 The Alpine Outlaws are dedicated to preserving the lure of the Old West and entertaining you, while having fun! The OUTLAWS are ready for you … Are you ready for the OUTLAWS?? 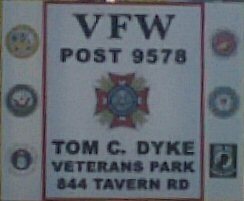 The Alpine Outlaws would like to thank the members and staff of VFW Post 9578 (Tom C. Dyke) for graciously allowing our group the use of their facilities for our monthly meetings!